If a portion of your equipment needs to be blocked from easy access, evaluate our keylocked security doors and covers. Made of steel, plexi, or perforated steel these server rack doors and covers attach directly to the rack rails, over the equipment that requires limited access. 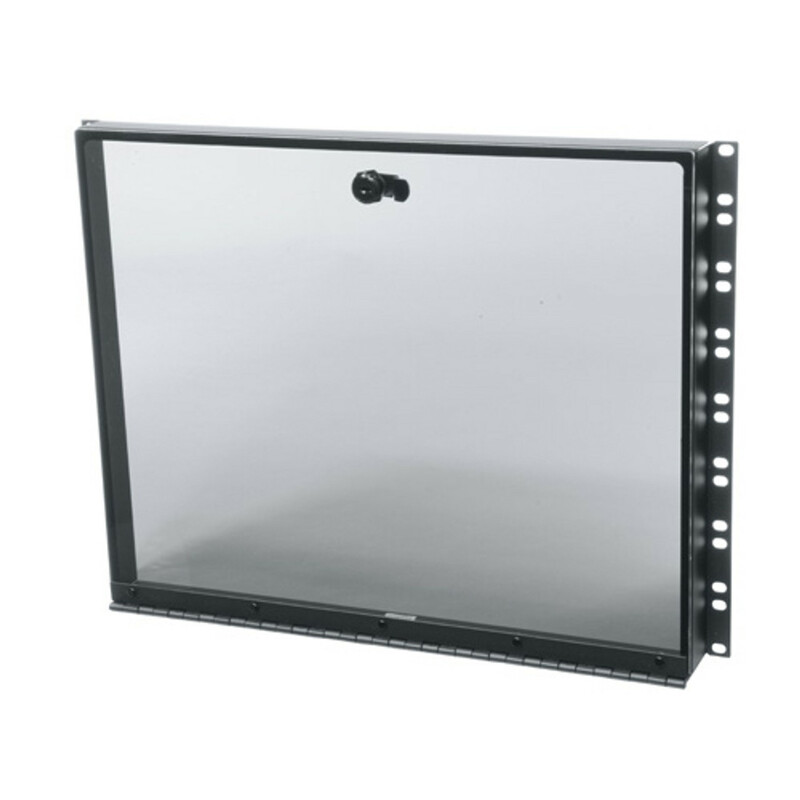 Rack covers may be used for enclosed server racks with a locking front door for extra security for specific pieces of equipment once a rack door has been unlocked. Suitable for floor standing server racks or wallmount racks and computer server cabinets, these rack security products can be used over and over in many applications. These front door covers are excellent for retail, classrooms, medical offices or anywhere partial access needs to be secured. If these products do not provide enough rack security, consider a co-location server rack listed under "Specialty Server Racks".